Do you save your selvages? I do and the glass gar that I store them in was overflowing. 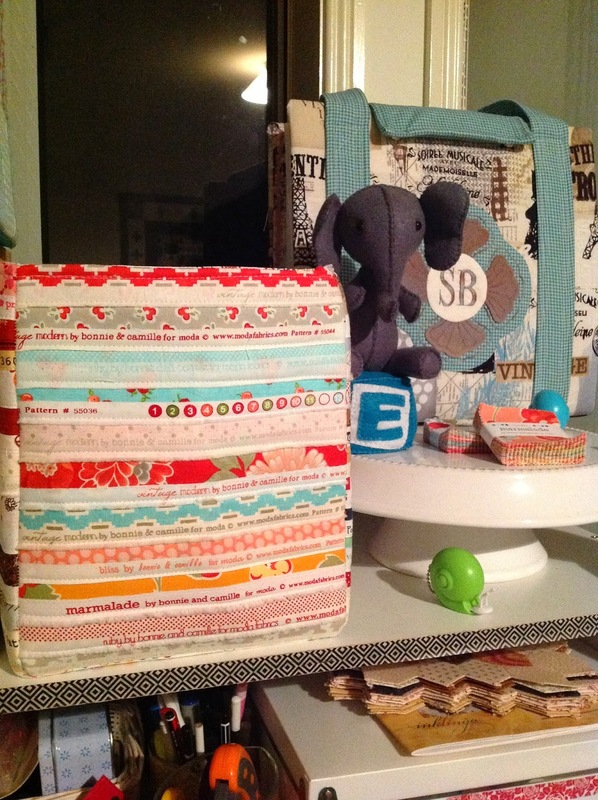 Logical solution for me was to make another "Scrap Box"
Have to love this panel as it's all Bonnie and Camille Selvages. 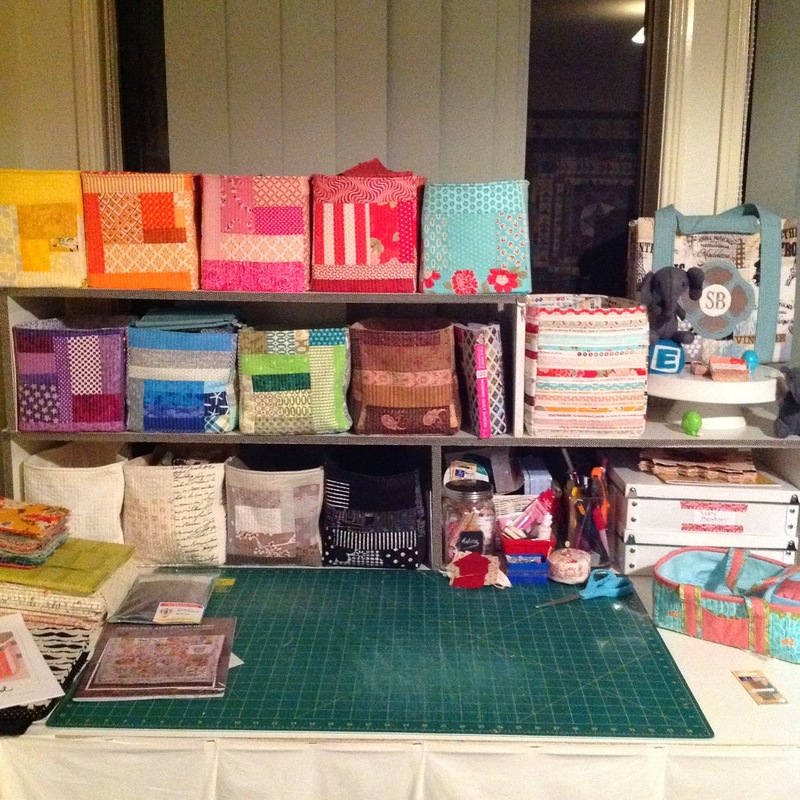 And here she is with my other Scrap Boxes. I am loving the colors and textures . Late last year I started working on a quilt for Miss Lily's 5th birthday. Well that day is fast approaching so I really need to get it finished. As of yesterday I have a quilt top. It's now basted and ready to quilt. Lily doesn't know that this one is being made so time working on it has been limited. Hope you have a great Friday and thank you for stopping by. Sharon your quilt is beautiful your little girl will just love it. 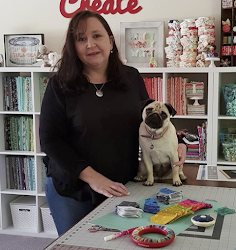 How beautiful and tidy is your sewing room looks like a happy place to sew. I do love selvedges, and your basket is a great use of them. Lovely surprise quilt for Miss Lily. Lily's quil tisa going to be beautiful, your selvedge box is amazing, well done. That selvedge box is a great idea. Hope the quilt stays a secret. Lily will love her quilt - so pretty. Love your selvedge box - great idea. Lily's quilt is lovely, Sharon. Your thread baskets look so lovely together and Lily's quilt is gorgeous!! 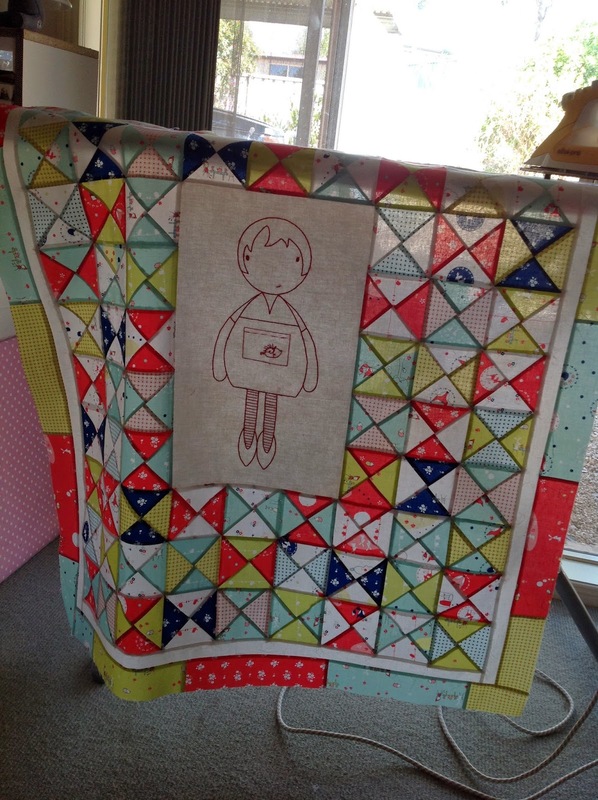 I adore Lily's quilt, looking forward to seeing it finished and her face. Love the box. Out of interest - what do you use to make it sturdy? 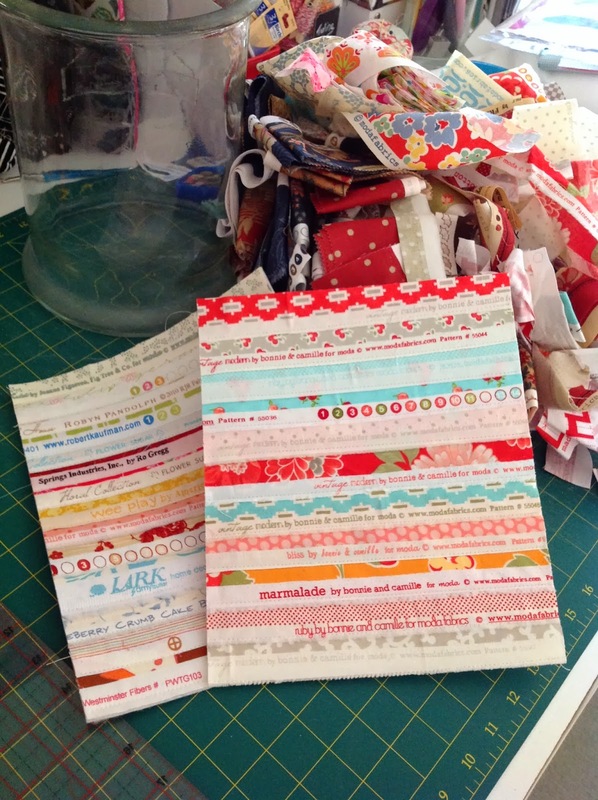 Love your selvage scrap basket and the others all look so great together. Clever you. I have a quilt called InFullBloom but it is by Lynette Anderson. 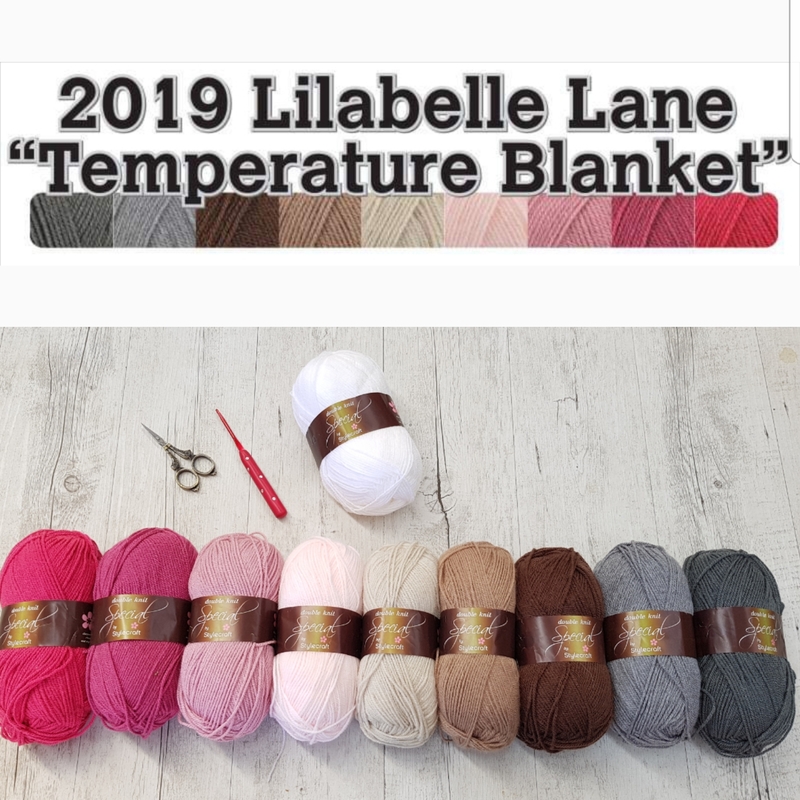 Love Lily's quilt and she will be tickled pink when she receives it. Your fabric box idea is great. love the one you made with selvedges. The quilt for your daughter is delightful. Gorgeous colours. 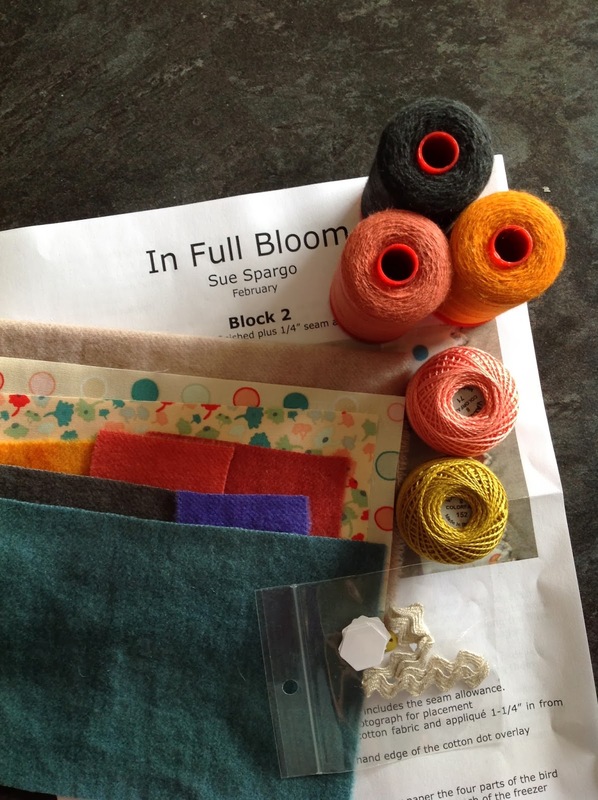 Love the selvage scrap box. All the boxes look great on your shelves. I've never managed to make a secret quilt for my kids. They've all been in on it coz they're so nosy!